Black Widow Slots Game by IGT - Take a FREE Pokies Spin Right Here. If avid slot game enthusiasts are looking for an unconventional game, then in all fairness, Black Widow, developed by IGT, the slot gaming giant in the industry, definitely stands apart. 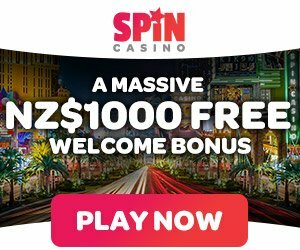 With unique features such as the web capture feature, or the super stacked feature, and of course, the well known free bonus spins, it’s easy to see why this slot game got popular among those that are into great slot games. The game itself features a gothic backset placed in a dark gold frame with spider webs placed above the five reels, which gives the player a rather gloomy state of mind, and this is to be expected if we think of the game’s name. As previously mentioned,, the action in Black Widow takes place on five reels and has a generous 40 paylines, which are hard to be ignored. The normal playing cards are the usual ones, A, K, Q, J, 9 and 10, while the wild card is the game’s logo, which naturally, has the highest base game prize of 1000x the player’s line stake. In regards to the bonus round, this can be activated by landing a green poison symbol on the second, third and forth reel, which will act as the opening key for this feature. Once a player is granted access to the bonus round, he or she will get seven free spins, and moreover, the web capture game will also become available. And now that it has been mentioned, let’s take a look at what this unique feature implies. 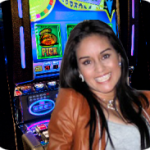 While enjoying the free spins, the concept of the web capture game is for the player to try and capture either the female or the male symbol in the center of the third reel. Naturally, there is an incentive for this, and that’s due to the fact that every character enjoys a different multiplier that will increase when they are being capture. Needless to say, this will of course increase the player’s line bet. One thing to keep in mind though, is that capturing the female will increase the pay of the remaining characters since getting her will result in a combined multiplier of those respective characters. The other iconic element that makes the Black Widow game more attractive is the super stack feature where one symbol will be randomly picked before every spin, appearing on the reels stacked with the potential to cover every position on the reel. 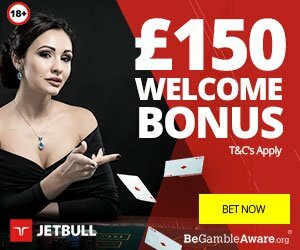 In terms of betting, the limit is between 1.00 and 50.00 per line, with the second one being the maximum bet that someone can make on all 40 lines. Nevertheless, as the majority of us are pretty familiar with the IGT games, Black Widow can also be played for free, which is great if someone gets into it only for the fun of it. Bottom line, the game is definitely entertaining and unique due to the unusual features that it presents, and overall, interacting with it will surely translate into a relaxing and enjoyable play. Therefore, if an unconventional slot game is what some of you might be looking for, Black Widow can easily be a great choice that should be kept in mind. This is a great pokie for New Zealand players.